Learn How To Shred – From The Comforts of Your Couch! Ever wanted to learn how to play the guitar, but you just haven’t had the time to take lessons? Well, The Web Development Group (WDG) has partnered with the folks behind a local music community to bring you a comprehensive guitar lesson community… online! This online startup community is solely dedicated to teaching its members the intricacies of guitar playing while letting each member go at their own pace. 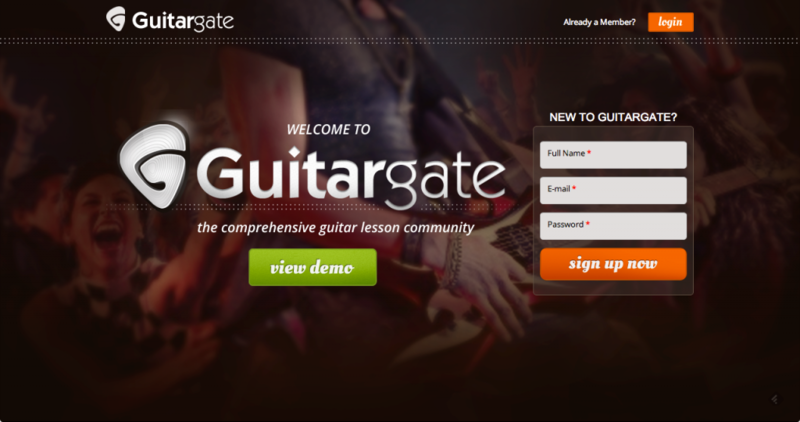 Built on Drupal, GuitarGate allows each user to rock through their lessons and show off what they’ve learned with short clips shared with the private community. Check out the demo on GuitarGate and let us know what you think! GuitarGate is powered by Drupal, one of the most powerful open source systems out there today. WDG is a leading Drupal web shop, specializing in ingenious web design and solid web development services. Our goal is to enable companies to successfully engage across interactive channels, such as web, email, and social media. Located just 5 miles outside of the center of Washington, DC in Old Town, Alexandria, WDG gets inspired by the laid back quaintness that their riverfront studios has to offer and was minted as one of Alexandria’s best small businesses. Want to learn more about how we can help take your startup to the next level on Drupal? Chat with us!